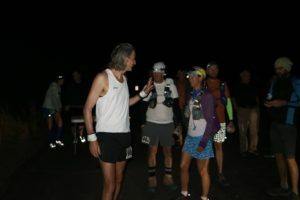 Last weekend at 5am in the morning I was at the start line of the Mozart 100. How did I end up here for my longest race to date (103km with 4600m of elevation change)? Two and a half years ago, I was 50lbs heaver and I had to make a decision to buy new trousers or lose some weight, so started counting calories with myfitnesspal. I also thought Id start running so I could eat more! In order to motivate myself, I decided to enter some local races. 6 months later, Id lost the weight and was doing a half marathon in Davos on the trails. The whole experience and atmosphere blew my mind, and seeing people doing ultramarathons (specifically the K78 race I would end up running the following year) inspired me to want to run longer distances in the mountains. So here I was on a sunny day in June running across the hills that were made famous in the Sound of Music. The start is in the old town of Salzburg surrounded by historic, medieval architecture. Not that I took much of this in in the dark while desperately trying to start of slow and steady for what I knew was going to be a long, tough day, compounded by a less than ideal training effort over the previous months due to substantial travel with work. The first 7 – 8km were nice and flat on a mix of roads and gravel paths before heading up the first hill. This didn't seem to bad though and was followed by more gently rolling paths and roads. I was beginning to wonder if this would be easier than I thought! 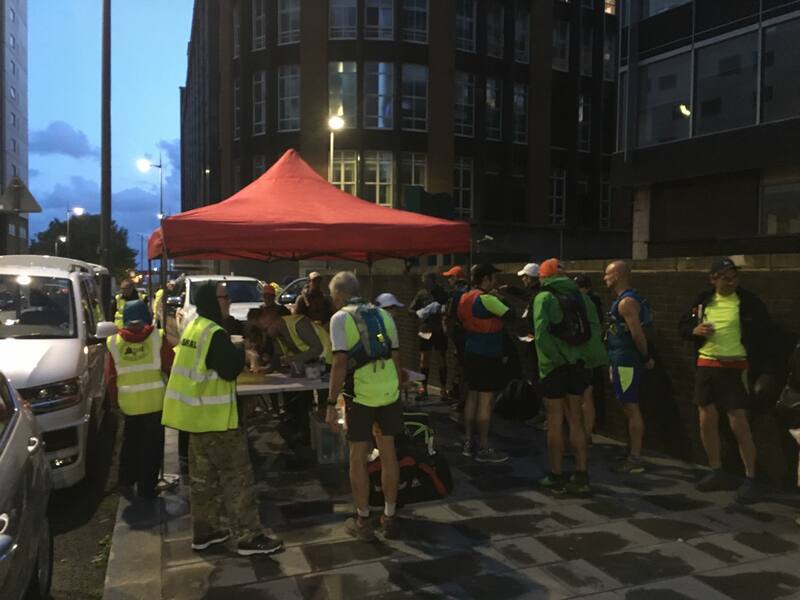 I had wondered if I should drop down to the 61km Ultra at the drop bag aid station at Fuschl (30.5km), but I was feeling strong and fresh so decided to carry on after drinking a coke and eating a packet of salami sticks. Shortly after, the first big climb up Schafberg kicked in. It was tough going, but with poles (which I had only practiced with a little before) I was overtaking people (only to lose places on the subsequent decents. I also had a good chat with some kids from a local international school who were doing a trail walk about getting lost – they had just climbed down a small cliff face having taken the wrong route. By the time I reached the lake at Sankt Wolfgang, I was feeling pretty spent and hot. But joy! A kiosk selling ice cream appeared! I was enjoying my ice cream while walking to the next aid station 1km away I totally forgot my poles, so added an extra couple of kms running back to get them. As I climbed the next major peak of Zwolferhorn I had my first low. I really wasn't sure Id be able to make the cutoff at Fuschl and for a moment considered if I should go back and catch a shuttle back to Salzburg. I pushed on though with the attitude that if I miss the cutoff, I miss the cutoff – if that ends up being the end of my race, then so be it. Although I didn't feel strong, I continued to push up the hill overtaking people again. And again the downhill felt a lot harder than it should. Mental note to do more hills in training! Back at Fuschl I had a good 1.5 hours before the cutoff, so had another quick coke, some sweets and off I went having picked up my head torch for the later stages. Next followed a lovely rolling path along the lake. I knew there was a bit of a hill before descending to Salzberg, but had no idea how tough it would be. This felt the hardest section of the course after a long day as the sun started setting. At the top of Nockstein I had to put on my headtorch for the final decent to the town, watching fireworks over the city. I knew there was a last ‘surprise’ hill before the finish line, but had no appreciation of how steep it would be! Asking at the final aid station, they said it was 200m high, but only 2.5km to the finish. I felt drained, but knew I would finish come what may now I was over 100km and had 3 hours to get there. I had a coke and started up the steps. I think because the finish felt so close, I got a rush of energy. I was (at least I felt I was!) flying up the steps, overtaking several people, go to the castle at the top and then headed down the trail to town. Towards the bottom, you hit some old cobbled streets and people having dinner or drinks start cheering you on. I come up to some traffic lights where another runner is waiting to cross. 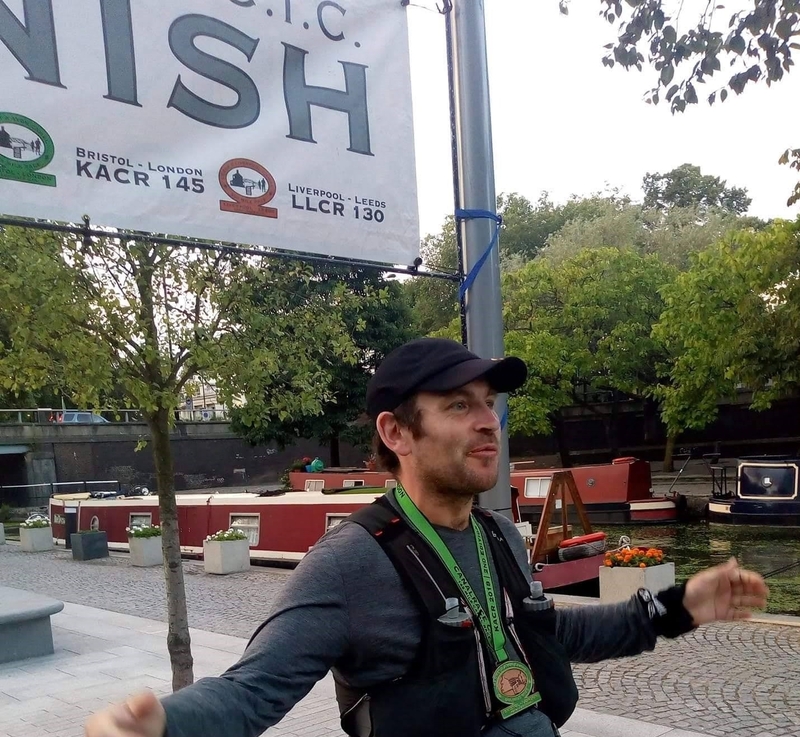 I can help it – with everyone shout I put on a turn of speed I hadn’t had for 50km and start racing through the Old Town to the finish line to come in 171st in 18 hours and 8 minutes – what a feeling! Evenbetter, my friend doing the half is there waiting for me with a burger and a beer!